Our website is open to take orders 24 hours a day, 7 days a week, 365 days of the year, so ordering online is quick, easy, safe and secure. 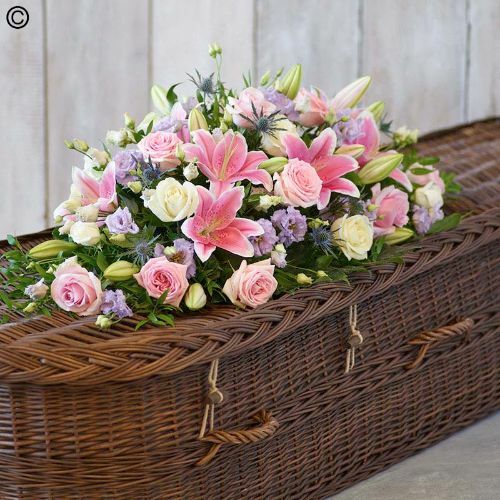 However, if you prefer the personal touch of ordering a Rose and Eryngium Casket Spray by telephone or if you need any help choosing what to send then please call the number listed at the top of the page which connects you to one of our friendly members of staff in our telesales office. They have all the knowledge to answer just about any questions you may have.